Federico ‘Pipa’ Higuaín and the Columbus Crew conquered D.C. United in their first home playoff game at Audi Field. Higuaín, scored a goal in regulation, one in additional time, and also slotted home his penalty kick. The penalty kick finish was a very familiar scenario for Columbus, as we progressed in the playoffs last year after a win at Atlanta. Zack Steffen once again stopped multiple penalty kicks. What can’t he do? Some fans traveled to D.C. for the game, but back home, local pubs were at capacity as Crew fans celebrated the away victory. 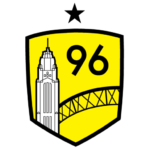 Save The Crew allies including Endeavour Brewing, Land Grant, Platform and more hosted watch parties for the playoff game. Hope to see you all back at these establishments next Sunday! On short rest, Gregg Berhalter set forth a very different line-up compared to the playoff game against D.C. United. Higuaín and Pedro Santos rested for the first half, while Gaston Sauro did not see playing time. A flurry of first half saves by Steffen allowed for the game to be level. Enter Higuaín, the game changer. His second half appearance energized the team, and in the 60th minute Pipa found Gyasi Zardes on a beautiful flick for the game winning goal. After the goal, the Crew had a few great opportunities to seal the win but the goals did not come. The game seemed all but won. However, in the final minute Bradley Wright-Phillips headed a great ball that seemed destined to fall in the bottom corner of the net. Zack once again said, “No!” Sunday’s victory puts the Crew in a beautiful spot, as an away goal means the Red Bulls need to score three. Check for updates from Save The Crew to find out the best venues to watch Sunday’s road playoff game. You can also join the NorOnTour Bus to see the Crew take on the Red Bulls in the 2nd Leg of the Eastern Conference Semifinal. Reserve a spot on the bus, get a ticket to the game and stay a night at the Meadowlands Plaza Hotel. Please continue to tell everyone you know about the Free 2019 Ticket Pledge. If you have not already, please fill out the form. The data from the pledge is our way to help the new ownership group to immediately succeed.